There are 8 other images of this object. See our image rights statement. See more objects with the tag circles, personal, communication, collapsible, recording, metal, tool, folded, contrast, portable, mechanical, photography, cameras, observation, handheld. See more objects with the color dimgrey darkolivegreen or see all the colors for this object. This is a Camera and case. 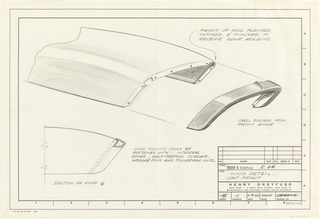 It was designed by Henry Dreyfuss and project headed by Edwin Land. We acquired it in 1999. Its medium is polysulfone plastic with a layer of copper-nickel-chromium alloy, applied leather. It is a part of the Product Design and Decorative Arts department. The SX-70 was the first camera to achieve one-step photography. 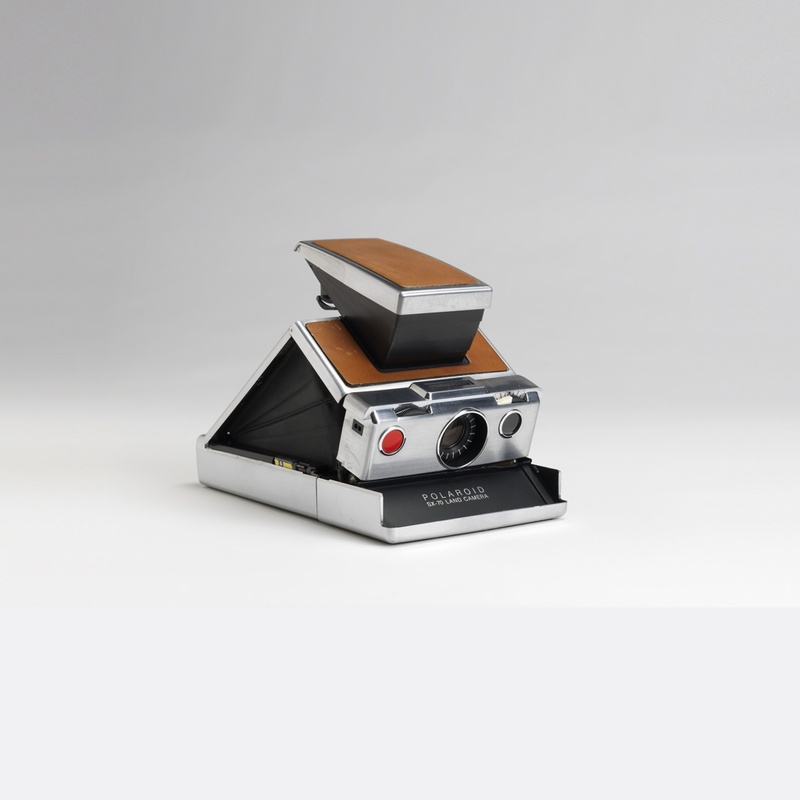 Introduced in 1972 by Edwin H. Land, co-founder of the Polaroid Corporation, this single-lens reflex camera revolutionized instant photography long before smartphones and Instagram, today’s global photo sharing app. 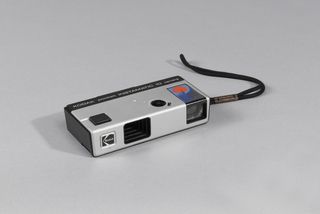 Polaroid manufactured cameras as early as 1947, but the SX-70 embodied major innovations in both form and function. 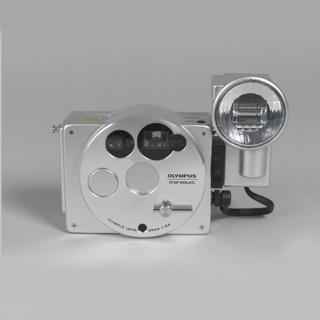 Unlike previous cameras, this camera required the photographer to merely point, focus, and click—then wait three minutes for the snapshot to develop. 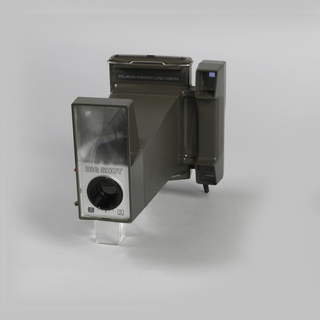 The first to employ an instant film pack that included a built-in battery, the SX-70 ejected pictures automatically, without the chemical residues of previous models. Sleek and compact when folded flat, the camera is encased in a stylish brushed-chrome and leather shell, enhancing its appeal as a desirable accessory. It achieved a cult following upon its release, used by photographers including Ansel Adams, Walker Evans, and Andy Warhol. 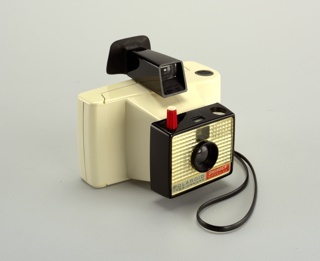 This object was featured in our Object of the Day series in a post titled Communicate: Instant Photography Before the Internet . Museum purchase through gift of Neil Sellin. pen and ink, graphite on tracing tissue. molded plastic, metal, woven cord (strap). Gift of Warren A. James. This object was previously on display as a part of the exhibitions	Bob Greenberg Selects and Tools: Extending Our Reach.